'Ablaze' (Walter Welch, R. 1955) Seedling #L-572. DB, 6" (15 cm). Early bloom (dwarf season). 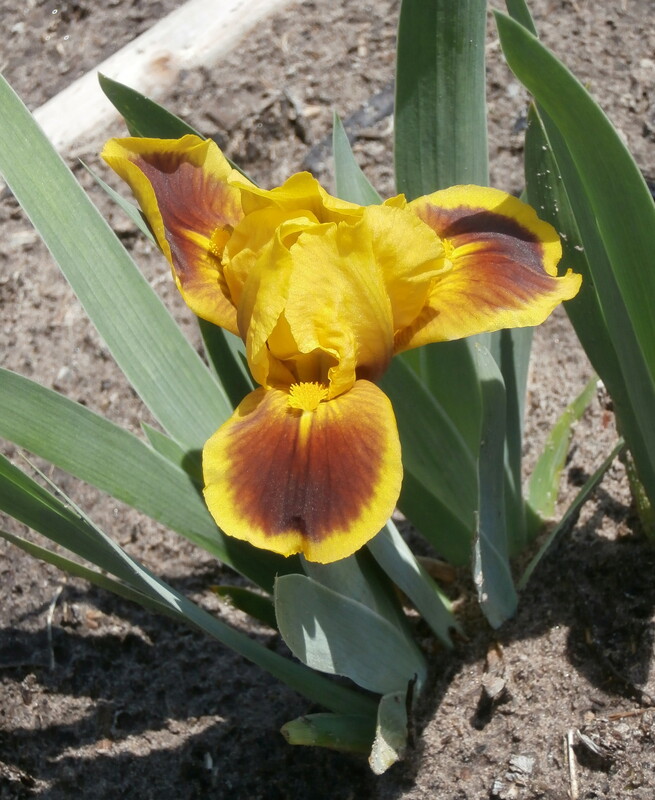 Bicolor (variegata), Standards yellow, falls reddish bordered yellow, orange beard. (TB tangerine pink x 'Nana') X pumila form of unknown origin. Welch 1956. Honorable Mention 1956.
jpg ABLAZE-2015-05-28-2--sRGB-crop01.jpg manage 751 K 13 Apr 2016 - 13:31 Main.TLaurin Photo by Nancy McDonald-The Pickle Barrel Collection. JPG ablaze1.JPG manage 957 K 25 Apr 2018 - 03:13 Main.TLaurin Photo by Nancy McDonald-The Pickle Barrel Collection. JPG ablaze2.JPG manage 811 K 25 Apr 2018 - 03:16 Main.TLaurin Photo by Nancy McDonald-The Pickle Barrel Collection. JPG ablaze3.JPG manage 896 K 25 Apr 2018 - 03:18 Main.TLaurin Photo by Nancy McDonald-The Pickle Barrel Collection.